So, Cheyenne's the reason I've put so much brown into my wardrobe over the past several years? Ah, style. 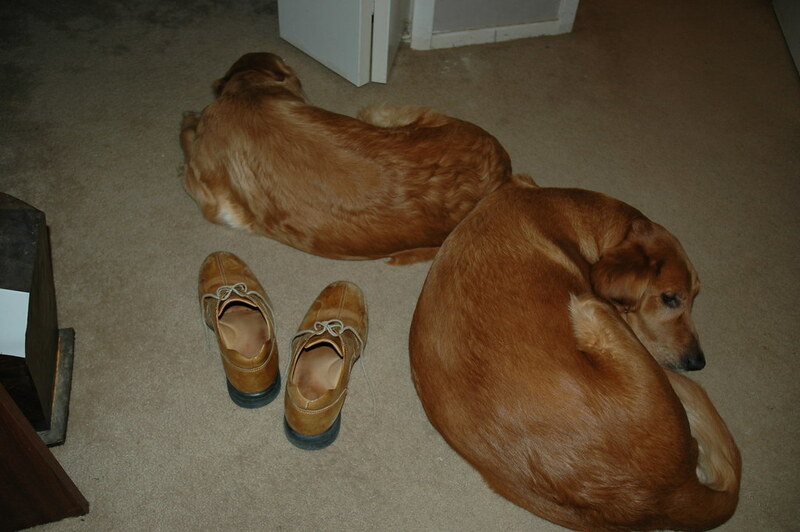 If my clothes don't match my boys at first, well, never fear because after a few doggie "hugs" and rubs, my clothes end up picking up enough golden fur to make my ENTIRE wardrobe golden.